Ezekiel Elliott has been suspended for six games, but here’s why the Dallas Cowboys should not worry. The ongoing situation regarding a suspension for Dallas Cowboys running back Ezekiel Elliott finally reached a resolution on Friday. ESPN’s Adam Schefter was first to report a six-game suspension for Elliott, for a violation of the league’s personal conduct policy. In the wake of the botched Ray Rice situation a few years ago, six games has become the NFL’s standard punishment for a domestic violence incident. The fact Elliott was not charged criminally does not matter to the league office, and there’s apparently evidence Elliott attacked his girlfriend on multiple occasions. On the field, the Cowboys will clearly miss the reigning Offensive Rookie of the Year and league rushing leader. 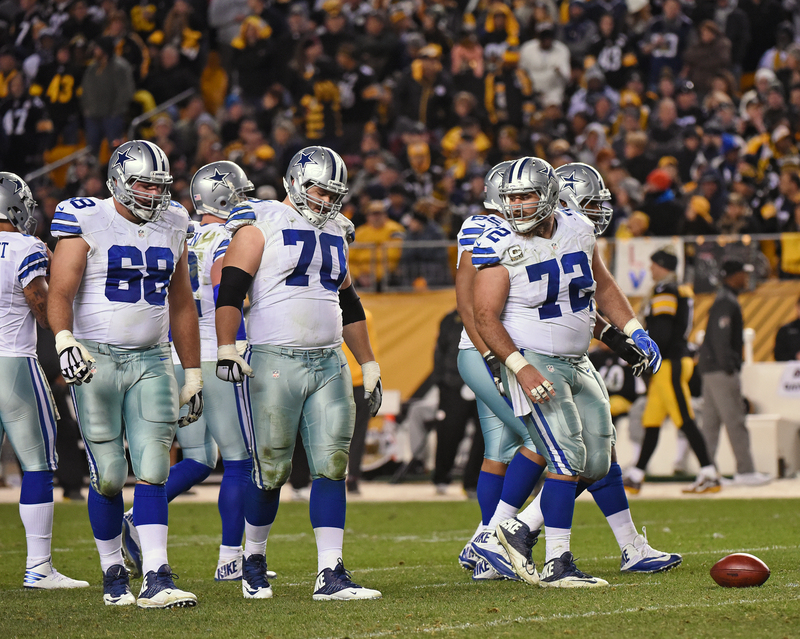 But here are five reasons the team should not worry about Elliott’s suspension. 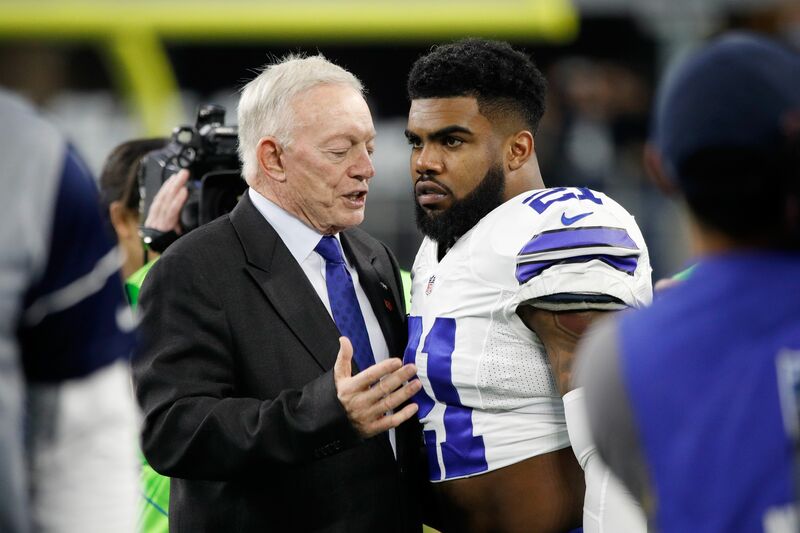 Elliott has three business days to appeal his suspension, and he’s absolutely sure to do so. Right or wrong, there’s some chance it will be reduced on said appeal. Owner Jerry Jones carries significant influence, and his continued stance behind Elliott could set up a major power struggle with commissioner Roger Goodell. If Goodell is pressured at all by Jones, he may pass that down to the appealing authority that should not be himself. Goodell is very highly compensated by the league’s owners, and he surely doesn’t want another extended public incident and legal battle like “Deflategate”. All of that points to a reduction in Elliott’s ban, possibly at a compromise of four games. Mostly (if not entirely) through the draft, the Cowboys have built arguably the league’s best offensive line. Elliott brings a special, difference-making talent level to the table, which he showed last year, but there’s a strong argument that any running back can succeed behind that line. Left tackle Tyron Smith, right guard Zack Martin and center Travis Frederick are among the best at their respective positions, and La’el Collins is set to step in for the retired Doug Free at right tackle. Left guard is a big question mark after the free agent departure of Ronald Leary, but four-fifths of a top-notch offensive line is still in place as long as Collins makes a smooth transition. The Cowboys can absolutely maintain a balanced, if not somewhat still run-focused/oriented, offense without Elliott for however long he’s suspended. The offensive line will be the key reason for that being maintained, as long as everyone is healthy and performs to their ability.